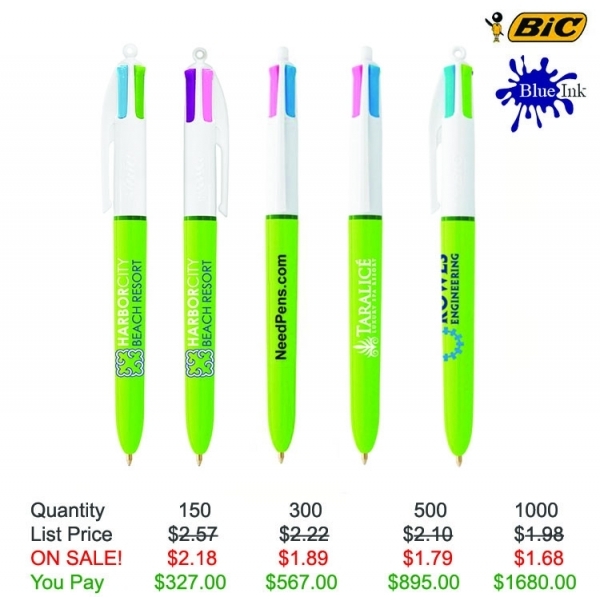 Your message will always be the one in "fashion" when you give out the BIC (R) 4-Color (TM) fashion pen! This medium-ink ballpoint pen features four fun fashion ink colors in one: fashion blue, fashion pink, fashion green and fashion purple. Its multifunctional design will attract eyes at any event or venue including retail store openings and cosmetics counters. 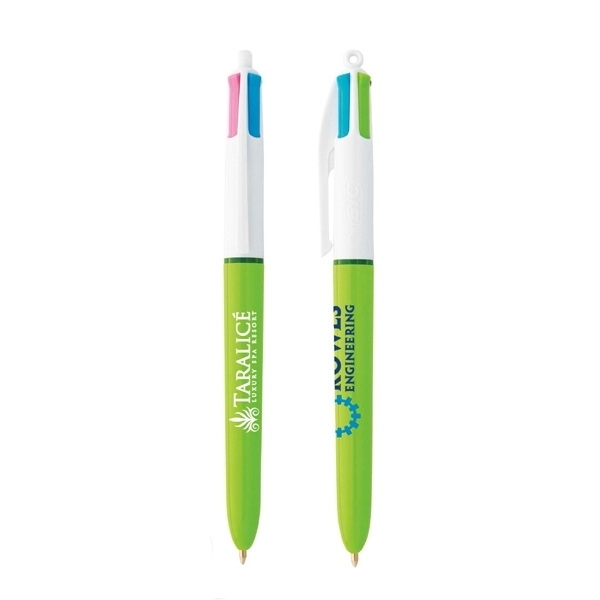 Your stylish silkscreened company logo will spread your message everywhere the pen goes! Item Color: Lime green and white.